Rise in Skill Swap Cresselia: a Mark “Machamp” McQuillian-inspired tactic. Azumarill, Kee Berry, and Perish Song highlight tournaments full of surprise stars. With the Autumn Regional Championships occurring so late in the 2015 Video Game Championship format, there was little question about which Pokémon would be the most common. Trainers knew they would face down teams full of Mega Kangaskhan, Landorus Therian Forme, Amoonguss, Heatran, Thundurus, Cresselia, and Aegislash. Armed with the suspicion that most top teams would probably be composed largely of a few select Pokémon, Trainers needed a plan to open up a format that felt small. Many Trainers formed their strategies by trying to improve on the way past teams had used the format’s defining Pokémon. The top teams from the 2015 World Championships inspired many Trainers, leaving a visible impact on many autumn teams. We saw Trainers continue to veer away from giving their Landorus Choice Scarf, more Trainers teaching their Thundurus Protect, and we even saw a rise in Cresselia that knew Skill Swap. 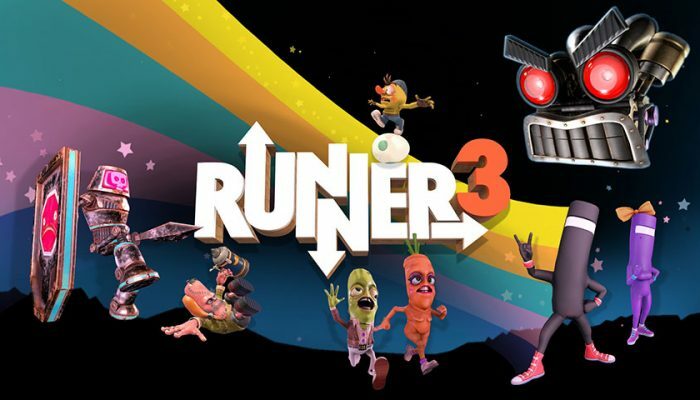 The challenge Trainers faced this autumn was much more difficult than borrowing from the top teams from Boston. 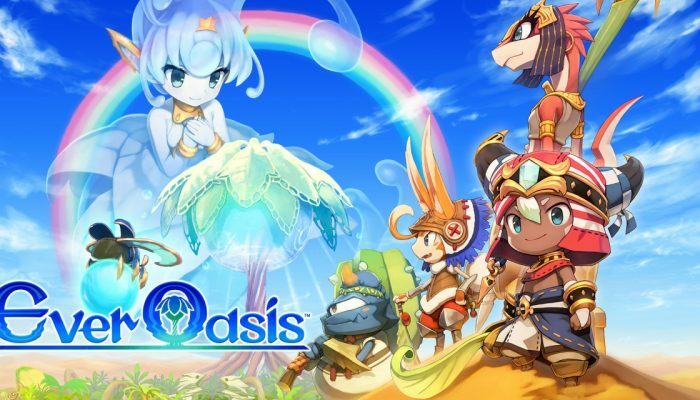 After a World Championships dominated by a handful of Pokémon, savvy players realized that the best way to finish near the top would be to find new strategies that could defeat the predictable field of Pokémon. While Kangaskhan and Landorus each chalked up their share of victories at Regionals, we saw a much greater variety of Pokémon finish near the top over the last few weeks than at the World Championships. The biggest surprise of Autumn Regionals may be that the pool of extremely popular Pokémon added a member. In a field dominated by Legendary Pokémon and Mega-Evolved Pokémon, Azumarill appeared on 12 Masters Division top cut teams, a total rivaled only by the seven Pokémon we mentioned earlier. 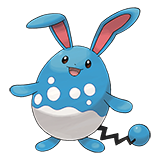 Azumarill’s dozen appearances was double that of the ninth most popular Pokémon, Salamence. Azumarill was especially effective when combined with Amoonguss and Mega Kangaskhan, such as in the notable example of Wolfe Glick’s Regionals-winning team in Lancaster, PA.
Azumarill, Mega Kangaskhan, and Amoonguss have fantastic natural synergy. Amoonguss may be the best Pokémon available at defending its teammates. 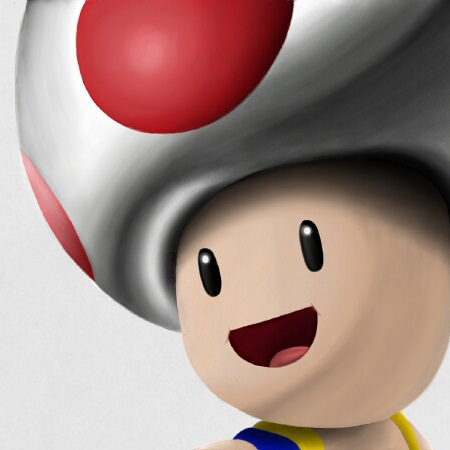 It can take advantage of its hardiness by drawing away attacks from its teammates using Rage Powder, or it can stop opponents from attacking completely by putting them to sleep with Spore. Mega Kangaskhan and Azumarill combine perfectly with Amoonguss because they can make the most of Amoonguss’s protection by increasing their own stats. Mega Kangaskhan’s Power-Up Punch and Azumarill’s Belly Drum both offer quick Attack boosts, often allowing them to knock out enemy Pokémon in a single turn after Amoonguss helps them get rolling. If Mega Kangaskhan knows Fake Out, it can even shift from attacker to defender and help Azumarill use Belly Drum more safely before going on the offense itself. A tricky combination many Autumn Regionals teams featured was Cresselia holding Kee Berry. Teaching Cresselia Calm Mind (which increases Special Attack and Special Defense) has been popular all year, but one of the ways Trainers often defeat it is by attacking Cresselia with physical attacks. Giving Cresselia Kee Berry helps to mitigate this weakness, as it boosts Cresselia’s Defense by one level the first time it’s hit by a physical attack. 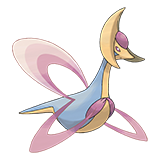 Trainers also taught Cresselia Moonlight, so it could heal the damage it took while increasing its Defense and Special Defense. Taking down Cresselia is already tough; the combination of increased stats and healing made Cresselia even more difficult to deal with Chase Lybbert used this Cresselia build to help him win the San Jose Masters Division. Wash Rotom was seen on over 20% of the Masters top cut teams at US Nationals, but it’s fallen on tough times since. Only three Wash Rotom made the top cut of Masters Autumn Regional events, and each of them possessed a new trick. Typically, Wash Rotom has been used as a defensive Pokémon to inflict the Burned condition with Will-O-Wisp on as many foes as possible, and it’s typically given the defensive Sitrus Berry to hold. The Wash Rotom we saw recently all did something a little different: two of them held Choice Scarf, while one held Life Orb. All three possessed an Ice-type Hidden Power, and none of them knew Will-O-Wisp. These more aggressive Rotom were better at battling popular Pokémon like Landorus and Salamence than the Rotom we’re used to seeing. The change in strategy proved to be an effective enough adjustment to help Blake Hopper win the Masters Division event in Houston and for Carson St. Denis to win his second Senior Division Autumn Regional Championship, this time in San Jose (see below for details about his victory in Arizona earlier in the month). 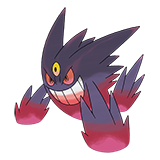 Teams using the combination of Gothitelle and Mega Gengar’s Shadow Tag Ability with the move Perish Song were common all three weekends. Since Perish Song causes all Pokémon that hear the song to faint in three turns, the relative strength of Pokémon such as Mega Kangaskhan becomes almost irrelevant. Instead of trying to win a slugfest with the top Pokémon, these Trainers used a combination of moves like Rage Powder and Fake Out and the Ability Intimidate to keep their Pokémon from being knocked out after using the move Perish Song. Combining these tactics with the Shadow Tag Ability of Mega Gengar and Gothitelle, they were able to topple the strongest Pokémon indirectly with Perish Song by preventing them from switching. Adyson Meyer led the charge for “perish trap” teams by earning a Junior Division Championship, while several other Trainers at each event brought home healthy chunks of Championship Points using this strategy. Houston Junior Champion Aiden McKinney and Fort Wayne Masters runner-up Andrew Burley both used Porygon2. It plays similarly to a Cresselia that is trained to use Trick Room, but there are a few key differences. Cresselia’s advantages are that it has much higher HP, the freedom to hold any item (Porygon2 tends to need the Eviolite item to perform well), and access to some key moves Porygon2 can’t learn—especially Skill Swap and Calm Mind. Porygon2 may be stronger than the Legendary Pokémon in other respects, however: Eviolite boosts Porygon2’s defenses above Cresselia’s, and it has access to the more reliable Recover in place of Cresselia’s Moonlight. Porygon2 also has much higher Special Attack than Cresselia, and its damage is often boosted by its Analytic Ability, which causes Porygon2 to deal extra damage to Pokémon that move before it during a turn. Pokémon such as some Landorus Therian Forme that are trained to barely endure a Cresselia Ice Beam will not be so lucky against an Ice Beam from Porygon2. Lancaster Masters winner Wolfe Glick‘s Thundurus with Substitute and Life Orb was a throwback to the Thundurus setups commonly seen in 2011, and 2011 is a pretty good year to pull from when you’re the 2011 Masters Division US National Champion. Wolfe also used Imprison Gardevoir to stop his opponents from using Protect, a strategy few of his opponents were likely to have prepared for. Another throwback to past formats was the resurgence of Quiver Dance Volcarona. Arizona Senior Champion Carson St. Denis, Lancaster Senior Champion Mark Garas, and Houston Masters Champion Blake Hopper all used Quiver Dance Volcarona as part of their winning teams. Milotic saw a boost in popularity in each age division, with two of the most successful Milotic holding a Maranga Berry. Carson St. Denis (Arizona) and Luka Trejgut (Fort Wayne) both used it to win Senior Division Regional Championships. The effect of a Maranga Berry is similar to a Kee Berry: when a Pokémon holding a Maranga Berry is hit by a Special Attack, the Maranga Berry boosts the holder’s Special Defense. 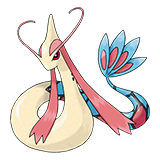 Milotic can use Recover to heal after its Maranga Berry activates, becoming extremely difficult to take down with Special Attacks. Being able to stick on the field for long periods of time helps Milotic take advantage of its Competitive Ability, discouraging opponents from switching Pokémon that have Intimidate into battle and thereby boosting Milotic’s Special Attack. Houston Masters Division runner-up Brianna Birt had a team full of surprises. She had a Suicune that knew Calm Mind, an offensive Chandelure holding Expert Belt, and a Terrakion that knew Taunt holding White Herb. Those Pokémon alone combined for more surprises than most other teams, but her choice to use Raichu may have upstaged them all. Raichu isn’t a Pokémon we see often in competitive play because its weak defensive stats make it difficult to use. In spite of that shortcoming, Brianna was able to take advantage of Raichu’s naturally excellent Speed, the moves Fake Out and Encore, and its Lightning Rod Ability to support her team. Her Raichu held Safety Goggles, allowing it to use Encore or Thunderbolt freely, even if an opposing Amoonguss attempted to defend its teammate with Rage Powder. The most shocking team to win a Regional Championship was undoubtedly that of Jeremy Rodrigues, who won the Masters Division event in Fort Wayne. He had two Pokémon with the Prankster Ability, but didn’t use the ubiquitous Thundurus as one of them. Instead, he chose two other Pranksters that knew moves Thundurus can’t learn: Sableye (Will-O-Wisp, Sunny Day) and Whimsicott (Fake Tears, Tailwind, Encore). Jeremy’s team also featured Terrakion, a well-known pairing with Whimsicott. Typically, players using this duo use Beat Up with Whimsicott to activate Terrakion’s Justified Ability, but opponents playing around this strategy were jumping at shadows—Jeremy’s Whimsicott didn’t even know Beat Up! The remainder of Jeremy’s team continued the trend of unusual choices, including teaching his Terrakion Poison Jab, having his Wash Rotom hold Life Orb, and being one of the only players to give Heatran an Assault Vest to hold in tournament play. Autumn Regionals ended with a huge surprise: Landorus Therian Forme, the most dominant Pokémon over the first two weeks, appeared in neither of the last two Masters finals. In addition to being one of the strongest Pokémon available, Landorus Therian Forme’s Intimidate Ability has been viewed as almost mandatory by top players. Despite this, San Jose runner-up Daniel Cardenas and Fort Wayne Champion Jeremy Rodrigues ran teams without the Intimidate Ability at all, while Fort Wayne runner-up Andrew Burley used Salamence and San Jose Champion Chase Lybbert used Arcanine as their sources of Intimidate. Salamence is a Pokémon that has enjoyed bursts of popularity, but Arcanine has been well under the radar for quite a while. 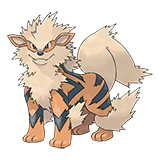 On top of its Intimidate Ability, Arcanine could further lower the Attack of its foes by burning them with Will-O-Wisp, or it could instead reduce both enemies’ Special Attack with Snarl. Chase chose an Arcanine with a Timid Nature and trained it significantly in Speed, enabling it to attack or heal with Morning Sun before being hit. The Autumn Regional Championships are complete, but the 2016 VGC season continues. Check out the event finder to find a Premier Challenge event near you to continue your season, and look forward to the Winter Regional Championships in a few months. 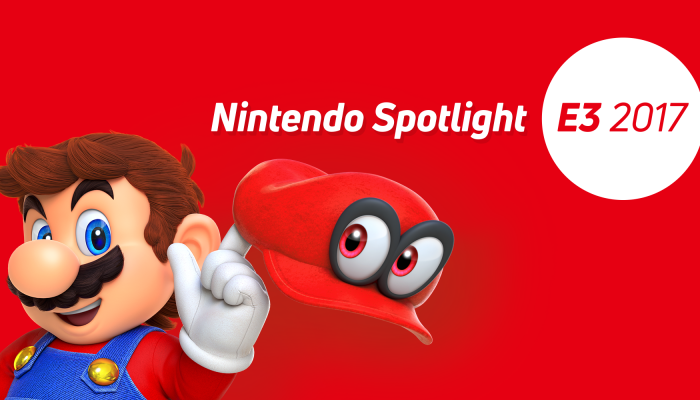 And be sure to check out Pokemon.com/Strategy to find all the most recent strategy content and tournament coverage.